A recently divorced, young mother's struggle to make ends meet. 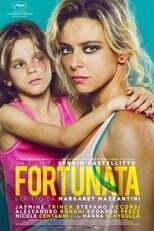 Fortunata is directed by Sergio Castellitto and was released on May 20th, 2017. Director Sergio Castellitto's Drama movie Fortunata is produced by Indigo Film & H.T. Film & was released 2017-05-20.